The very architecture of the Mansion guarantees that visitors are always aware of the magnificence of their surroundings. 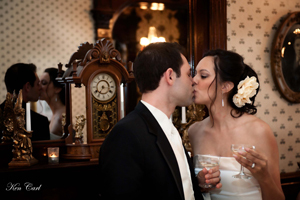 The black walnut, hand-carved woodwork is often our most complimented feature-guests thrill to discover fish, game, birds, flowers, and cherubs among our panels of wainscoting and trim. Our staircase another model of intricate woodwork and old-world craftsmanship is a remarkable setting for photos and an ideal route for the grand entrance of the couple of honor. An Event Hostess available throughout the duration of your wedding.